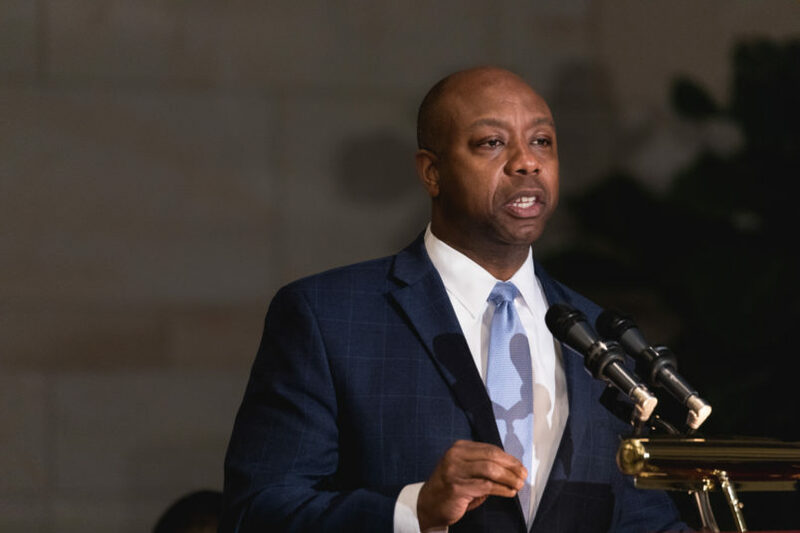 Sen. Tim Scott (R-SC) submitted a letter to The Wall Street Journal on Thursday in response to an editorial on judicial nominee Thomas Farr this week that argued Democrats should stop calling racism to advance their agenda. Democrats opposed Farr’s nomination to a federal district court, citing his past defense of a voter ID law in North Carolina that was designed to suppress the black vote. After Scott joined Democrats in their opposition to Farr last month — and with Sen. Jeff Flake (R-AZ) continuing his opposition to judicial nominees while he pushes for legislation to protect the special counsel — Farr’s nomination will likely be ill-fated.